A few days ago, Ruby was looking for her shoes and she told Jeff that they were under his "work purse," haha, I love how kids think. He has a black leather cross body bag that he uses to take his lunch, papers, etc back and forth to work. This sparked a conversation about how he'd like a bag with more style, maybe a vintage one. 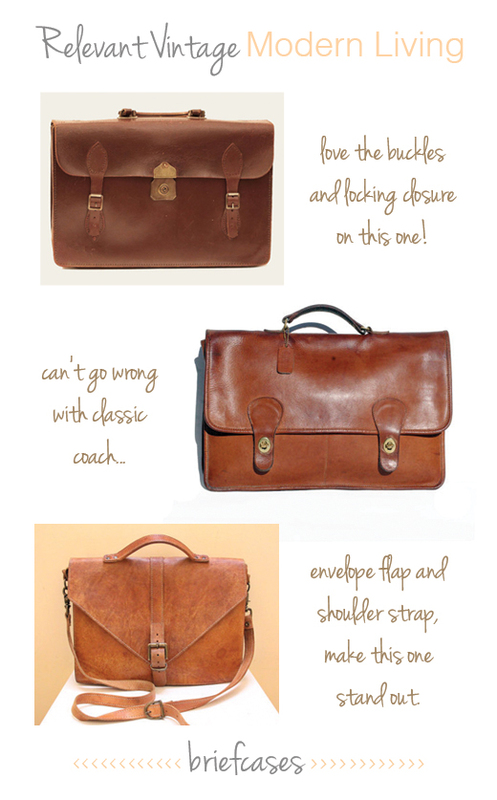 Then a friend of ours mentioned that he was looking for a vintage briefcase. So I went on a hunt and here's what I came up with.